The Rose Insurance Agency was founded in 1976 by David Rose with the purchase of Rosie Meyer's Insurance Services in Avilla, IN. The Rose Insurance Agency expanded in 1979 with the purchase of the Moore Insurance Service Agency of LaOtto IN. The Rose Agency further expanded in 1984 with the purchase of the Campbell Insurance Agency of LaOtto, IN. The Lee Sexton Agency of Fort Wayne, IN was purchased in 1996 and the Suntken Insurance Agency of Auburn, IN was purchased in 1998. A branch office was established in 1988 with the purchase of the North Insurance Agency in Rome City, IN. 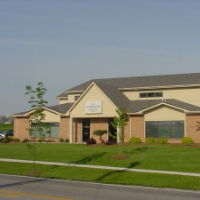 An additional branch office was established in 2000 with the purchase of the Grindstaff Insurance Agency in Huntertown, IN. Rose Insurance Agency was acquired from David Rose in October 2016 on his 40th anniversary in the business by Benjamin Schoettmer and David Callahan.